I first tasted this wine at a local seafood & steakhouse. It is a great place and over the years I’ve become a “regular”. The staff knows my name, and know what I like. I used to bring visiting business guests there about every month. Now I just visit every once in a while, but they never fail to deliver the goods. Their wine selection is excellent, and as usual on my very first visit I went off-script and veered away from the Pinots and CabSauvs, and dove into the “Other Varietals” section of the list to poke around for something interesting. This is where I found this excellent wine. It turns out that I was the first person to ever order that wine at that restaurant. It was so good, that I just kept ordering it every time I went. The servers just said “your usual?” and I agreed. Over the years the vintages changed, but the wine remained excellent. Eventually I slapped my forehead and realized I should buy some for home. I joined their wine club, and ordered up a case of the newest vintage, which turns out to have been this 2013. Now I have a rather large stash of them, along with some of their oddballs and “wine club exclusives”… they are all great. Wonderful and well-rounded Walla Walla wines. The Cab Franc remains my favorite. 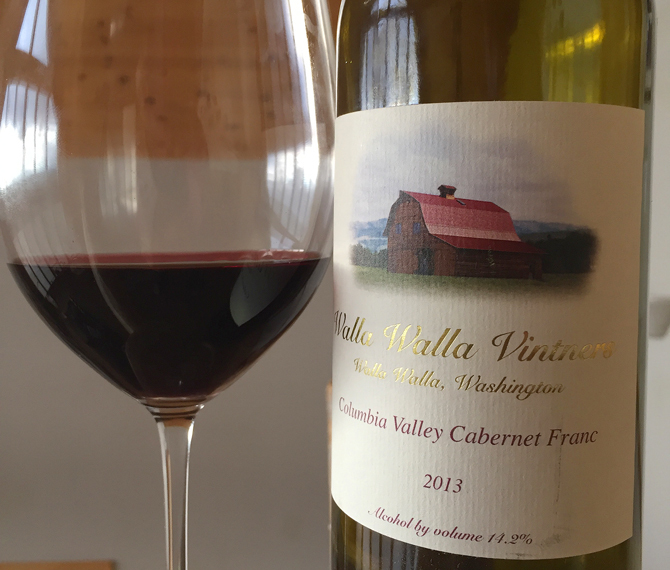 Walla Walla Vintners are probably the best across-the-board bargain from that region. If you’ve had some of the top-flight stuff from Walla Walla, you know it usually commands a hefty price. To my palette, WWV’s output is just as good, or even better, at a third or less of the price. Over the last seven or so years I’ve drank probably fifty bottles of their wines, with half being their Cabernet Francs, and every one of them has been fantastic. Apr 5, 2018: Vinagoth » Blog Archive » Don’t want to lay out Napa money? Try Walla Walla.